Is the hype over the new Apple iPhone 5s and 5c worth it? Hype marketing has been around for quite some time, but no one has been as successful at it in recent times as Apple. Traditionally, hype marketing conjures images of a product which seems: too good to be true, is in limited supply, is on sale for a limited time or is somehow exclusive (but wait, there’s more!). It seems that in today’s demanding marketplace, this no longer works – or does it? Is hype marketing working as well as it should? Look at what happened last Friday – the release of the new iPhone 5s, 5c and the wiz bang new operating system iOS7. There was plenty of hype – Apple’s launch describes a product that in many ways seems too good to be true. 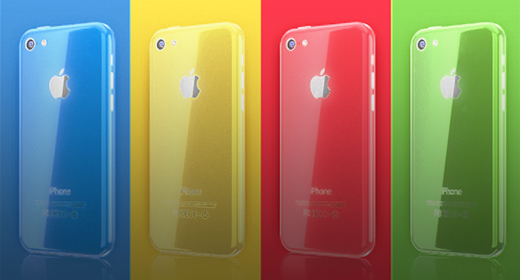 The new phone models are available in many colours, but already in Australia the demand for “gold” phones has far exceeded supply. And as far as exclusivity – iOS7 is only available for use on Apple products. As expected, there has been plenty of hype: product launch, plenty of media speculation and, of course, Friday’s intense media saturation over the launch. Apple used to do hype extremely well – it kept tight secrets about the product. However, this release has been deemed newsworthy for at least the last 4 weeks (so much for secrets). More importantly, it seems that the innovation that should be associated with the hype has failed to materialise. New features include a fingerprint scanner to improve security, new colours, a cheaper model (some say that’s what the “c” stands for in 5c – cheap), and a new operating system. As far as I can tell there is no real difference in screen size, battery life or overall performance. These would seem to be top of my list when thinking about buying a new phone, yet Apple seems to have ignored these items. The main drawcard is the new operating system – it has over 200 new features creating a quicker, easier system to use. However, you don’t have to the latest phone to upgrade to this system. Phones as old as the iPhone 4 will be able to download the new iOS7, lowering demand for the new models. So, is Apple losing its touch when it comes to Hype marketing? Susan Botterill, General Manager for Michael Field Pty Ltd. This entry was posted in Business, Digital, Strategic Marketing, Strategy, Technology and tagged Apple, Hype marketing, iOS7, iPhone 5c, iPhone 5S, media by MFadmin. Bookmark the permalink. Thanks for the great article! A marketing perspective on the ‘fresh bread’ bunfight between ACCC and Coles. What is the Value of Values? What is Your Value Proposition? Who Are You Competing Against – Really? Michael Field on What is the unique value in a member services organisation? Walter Edgar on What is the unique value in a member services organisation? Copyright © 2019 Michael Field . All Rights Reserved.